Some mothers want to be left alone to relax on their special day. Others want to spend it with their children, as mine always did. That usually entails a fancy brunch or dinner. But if you’re in NYC and didn’t plan ahead, finding reservations for Mother’s Day is about as easy as getting into the new Whitney. So what do you do? Brunch is a challenge on any given day in this town, and this Sunday is even more complicated. Sure Grubstreet might have posted some last minute options, but they’ll likely be gone by the time you attempt to book any of those. Places that don’t take reservations might actually be a better bet- assuming standing in line works for your family (rarely the case). Or you can treat her to dinner instead – for about the same price it seems. Here are a few options from a local. And if it’s a place that takes reservations, they’re still available according to Open Table. Just remember, if all else fails, you can always cook. Sometimes that means even more! One year, as a big extended family, we went to brunch at Blue Fin in Times Square, which was lovely and they have plenty of availability, as does Oceana, so you can find lobster benedict in this town at places other than Cafe Lux, Ocean Grill and Atlantic Grill (all of which currently have no availability). If you want more casual and downtown, there’s All’Onda (loved it) and The Dutch (available before noon). If you have a more hip mom, there’s Black Ant for Mexican. Mom = Margarita. It seems that Mother’s Day and lobster also go hand in hand- or at least they do in my family. If you’re willing to take a chance without a reservation, try North River Lobster- especially with the spectacular weather we are having. And they have margaritas too! A walk along the river toward the High Line could be nice after (avoid the lines at the Whitney for a little longer). With some gelato as a treat. Or you can always get a lobster roll at one of the many places around the city (I’m partial to Luke’s). For dinner, there are tons of options on Open Table- so figure out what type of food and location you want, and you shouldn’t have any problem, even in some of the harder to get into spots like Aureole and Nougatine at Jean Georges. And plenty that are far less expensive if that’s out of your budget. 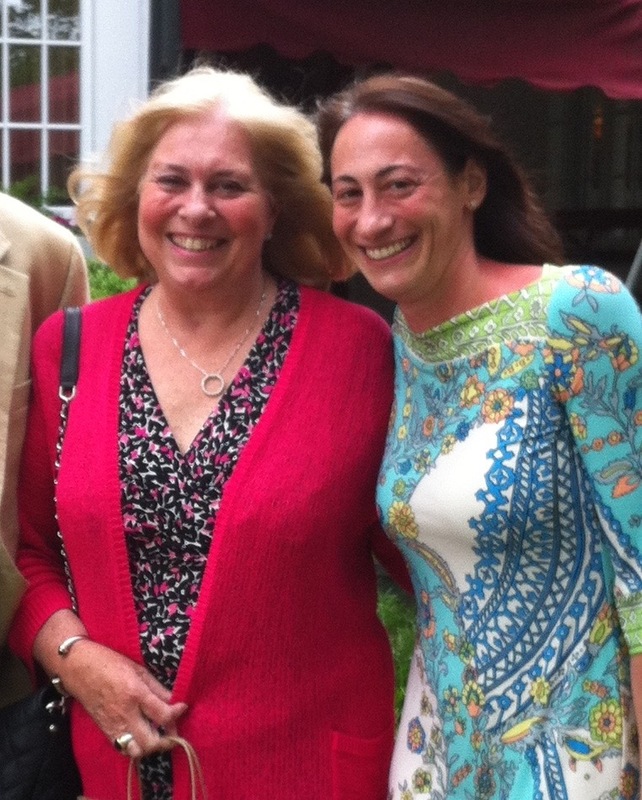 This one is a bit of a risk, but on one of the first Mother’s Day’s my Mom came to visit, I took her to brunch at Tavern on the Green – the setting is spectacular and iconic – so even if the food is so-so these days (as it was then), she likely won’t care. (Only dinner reservations available currently.) And you can always stroll through Central Park. Even if you don’t have your mom or if you have a tough relationship with her, find a woman who has been like a mother to you and celebrate her. No matter what you do, as long as you’re getting to spend time with a special woman in your life, be thankful, appreciate her and enjoy your time together.